Coming off the sugar high of Halloween, you might forget December is another candy-rich month. 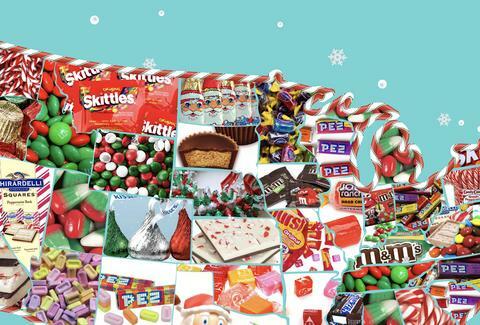 In fact, the National Confectionary Association estimates Americans will spend $1.93 billion on sweets during the eight weeks leading up to Christmas. The map raises some very important questions. For instance, is Starburst a holiday candy? Can you eat Pez if they aren't in a dispenser? What the hell is Reindeer Corn? Why aren't Ho Hos considered a holiday treat? Here's a breakdown of the top three candies in each state based on CandyStore.com's survey. You'll see a lot of candy canes on there, which is necessary because somehow people have to consume the 1.76 billion candy canes produced every year. But, seriously, what is Reindeer Corn and why does it exist? Does it taste like candy corn? Why is holiday candy so much more confusing than it should be?